All around the world, people are starting off the holiday season by giving back to the causes they care about TODAY on Giving Tuesday. 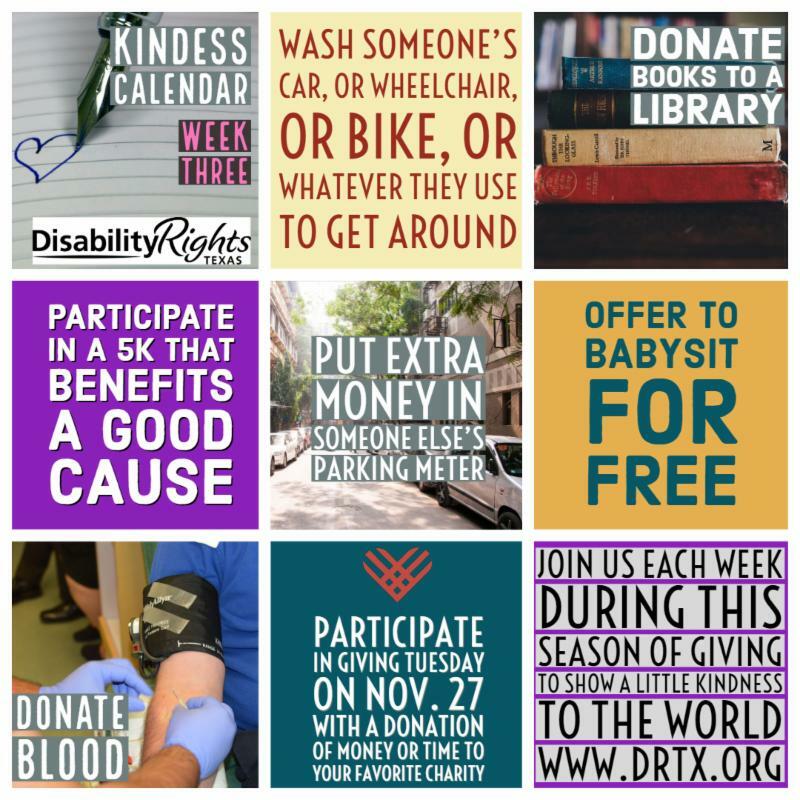 When you give to Disability Rights Texas TODAY ONLY (November 27) through our Facebook page , Facebook and PayPal will match your donation! You can make a donation and/or create a Facebook fundraiser on that day to share with your friends. If you give $40, we get $80! If you raise $200, we get $400! Thank you for your support throughout the year and today on this international day of giving. 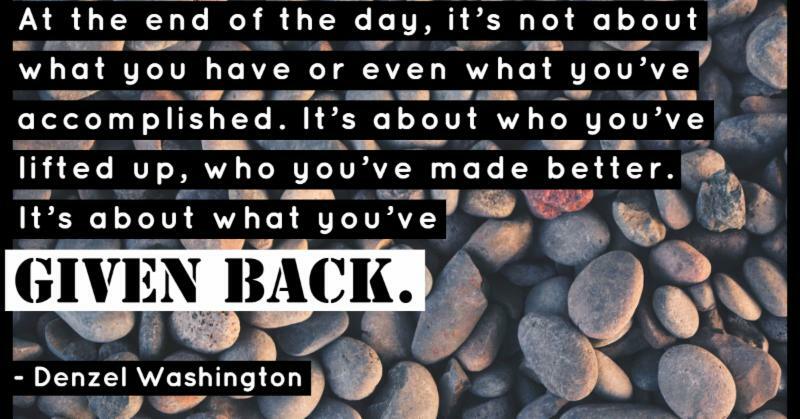 One easy way to give back on Giving Tuesday is to take a few minutes to do a kind deed for someone. You can help us start a wave of kindness that can spread across our communties and our world. Wash someone's car, or wheelchair, or bike, or whatever they use to get around. Participate in a 5K that benefits a good cause. Put extra money is someone else's parking meter. Participate in Giving Tuesday on November 27 with a donation of money or time to your favorite charity.